Cynthia Vincent, designer and co-owner of Twelfth Street by Cynthia Vincent, focuses on form, function, and fabrication to design clothes that are feminine, hip, and confident. Cynthia’s career started with formal training at Otis College of Art and Design. Not long after graduation she was hired by Jane Ong & Co. in London, where she quickly rose to become head designer. In 1993, she launched her own label in California, which is carried by top specialty department stores throughout the U.S., Asia, and the Pacific Rim, including Neiman Marcus, Barney’s, Fred Segal/Ron Herman, Tracy Ross, Scoop, Madison, American Rag, Bergdorf Goodman, and Holt Renfrew. Five years later, she was awarded Los Angeles’ Rising Star Fashion Award. 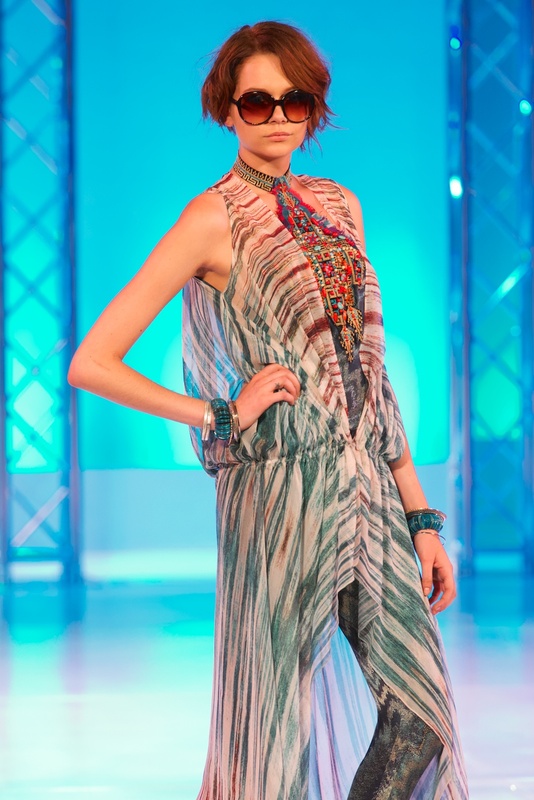 For the 2012-13 season, Cynthia mentored Otis College of Art and Design students to design a collection for the city nomad, mixing time and place to create caftans, jalabas, and other classics. Here is a gallery of pics from the Otis Scholarship Benefit and Fashion Show, held in Beverly Hills on May 5, 2013, showcasing the student designs created with Cynthia.